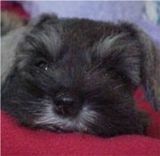 The Miniature Schnauzer deserves its place as one of the most popular terrier pets. It is playful, inquisitive, sparky and companionable. It is also well mannered and enjoys being in the centre of activities. Less domineering than the larger version, it is better with other animals than most terriers. 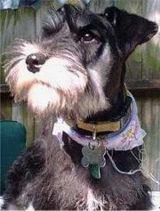 The Miniature Schnauzer is from Germany. They were exhibited as a distinct breed as early as 1899. It was first used as a barnyard ratter and many still display typical terrier rodent prey traits today. An energetic, active do who has clean habits and is neat in size and makes a delightful companion. The Miniature Schnauzer is lively, intelligent and attentive, very loyal to its family can be stubborn! You need to be confident and consistent, with a Miniature Schnauzer. They are eager but sometimes have their own agenda! Discover how you can make your Miniature Schnauzer the most obedient and happiest dog alive!